I offer you a safe environment to talk, confidentially, about how you feel about things and how they are affecting you. I have worked with both adults and young people and I am available for short or long term, one to one counselling. I have experience of counselling people who have issues with anger, anxiety, depression, self harm and abuse, to name but a few.I have worked with groups of young people whose issues has been "anger management". 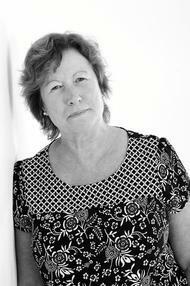 I am a "Humanistic" Counsellor and accredited by the British Association for Counselling and Psycotherapy. I am trained in EMDR which is a non drug, non hypnotic psychotherapy which is extremely effective for those who have unhappy memories or who have suffered a traumatic experience. When painful memories are avoided they can keep their disturbing power. With EMDR you can face those memories in a safe setting so that you do not feel overwhelmed. I have also trained with "Cruse", the bereavement service.